Looking for fun and feelin' groovy. . .
We set out on foot – one of our favorite ways to explore any place -- but especially Cairo, Egypt where we spent three mid-December days. Past the entryway Christmas tree that greeted guests at the Cairo Marriot Hotel -- cleverly built around the historic Gezira Palace – we were off to revisit the Zamelik neighborhood in which the hotel is located. Just past the guard house at the hotel’s entry gate – with its armed officers and a leashed German Shepherd that check all arriving vehicles - we were greeted by a bevy of taxi cab drivers each offering ‘a good deal’ to the Pyramids and Sphinx or anywhere we might want to go. They spoke English and didn’t badger once we explained we were going no further than our feet could take us. This is the second time we’ve used Cairo as a ‘gateway city’ from which to return to the United States after a stay at The Stone House on The Hill. So both times we’ve arrived here from our laid-back rural area of Greece and have been jarred by the sheer size of this city with a population hovering at 20 million. The sprawling megalopolis is often blanketed in morning smog, traffic is continuously horrendous, and yet it has such a charm that it keeps bringing us back. 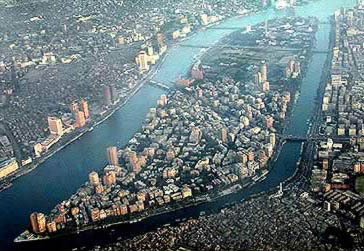 Zamelik is one of two Cairo districts – the other Gezira - on an island in the middle of The Nile River. It is one of the city’s more affluent areas and home to many ex pats. There’s an interesting mix of businesses on its bustling' 26 July Street'; some shops in brick and mortar buildings and others mere sidewalk displays. There seems to be a bookstore on every other corner, (our favorite, Diwa) and traditional coffee shops where men wearing long-white white gallibayas, (think long white shirt) and puffing on shishas, (the traditional water pipes) while away a few hours each day. It isn’t unusual to find a small eatery or two sporting a ‘Recommended by Trip Advisor’ certificate on the door. As for kicking back those cobblestones, a more accurate description is cautiously stepping around dips, rises, and uneven surfaces that make up the area’s rather challenging walkways. Those sidewalks and the never-ending traffic were the only ‘dangers’ encountered on our outing. Crossing a street, even with a green light beckoning us forth, felt more like filming a “Survivor” television show segment than taking a stroll, especially when parked cars force long detours out into traffic before reaching the other sidewalk. We were delighted to find many of our favorite businesses still in operation. They are typical neighborhood 'mom-and-pop' shops selling goods to locals, not dependent upon tourists like us. One of the many fruit and vegetable markets that we pass on this route strikes me as a work of art. Its vendor always positioned just to the left of his displays, scanning the sidewalk for possible customers. I think he was flattered, if not a bit perplexed, when I asked him if I could take a photo of his store. I got a thumbs up and smile though when I showed him the photo above. No doubt about what this store sells! The businesses really do mean business here. And most, like the one above, left no one guessing as to what was for sale. The eateries are all miniscule in size but taunted the taste buds with many temptations. Sidewalks are shared by pedestrians and vendors. Blankets and makeshift shelves displayed merchandise ranging from books and bread to produce and flowers. A carpet repair shop had several repair stations operating on the sidewalk. Florist displays cascade into the streets. Arabian bread is sold by the bag from street vendors found at regular intervals. Bread and roasted yams brought a new meaning to ‘fast food’. Veering off the main drag we took a winding route back to the hotel, walking the residential area’s tree-lined streets. The district, one of the city’s most affluent is home to stately 19th century mansions and villas as well as high density apartment building complexes. *First, is to be educated about where we are. We read up on the place in advance of our arrival. Novels set in the area provide a bit of history and contemporary color, guidebooks, travel blogs and on-line articles and traveler’s reviews are all part of the pre-travel research we do. We heed the advice of others. There are Cairo neighborhoods we wouldn’t explore on foot - just like there are places in Miami, Chicago and Seattle we’d avoid. *We get a city map from the hotel concierge, discuss where the hotel is located on the map and where we are thinking of walking. We heed his/her recommendations and warnings. *We dress conservatively and try not to call attention to ourselves. In Cairo that meant wearing long dark pants, not jeans, and shirts with sleeves. I wear or carry a scarf just in case I need one to cover my head and shoulders to enter a mosque. As much as we love our sports teams back in the Northwest, we would never wear sports logo clothing when traveling abroad. Nothing targets you more as “American” than a bright colored tee-shirt with a sports logo emblazoned on it. *We carry local currency in small denominations in case we do need to catch a taxi back to the hotel. If the map doesn’t have the hotel’s name and address on it written in the local language we carry a business card with it on it on the off chance we find ourselves needing to ask directions. *As much as I want to snap photos, I limit the times I pull out the camera or phone. That is another act, that screams out "tourist". And I ask permission if a person might be identified in the photo. Besides being considerate of the individual, this saves embarrassing moments as I’ve encountered some who say yes to a photo but want to be paid for having their photo taken. . .I don’t pay for photos. So far Cairo has never let us down. We’ve returned from our outings having met someone or learned something about the neighborhood, or the city, that we’d have missed had we opted to take a tour bus or taxi. Thankyou for this insight into Cairo and for the travel tips. It is a place I would love to put on my travel list, but I think I might need to go with a guide. I do think though that exploring on foot really takes you into the heart of a place and is the best way to absorb the culture. Happy travels. Enjoy your trip home. And I hope to see you back in your Greek stone house on the hill very soon! All the very best for 2017. Happy travels and happy blogging. Happy New Year Jill. Glad you liked the post and glad you are part of my world! It is so nice to know that others loved Cairo as well. Sadly most of our Northwest friends simply roll their eyes when we talk of its wonders! Happy New Year! Jackie, your expert tips on travel are always so useful and enlightening, especially to destinations that are in the spotlight for whatever reason. Wishing you and the Scout a very Happy and Healthy 2017! I love your description of "your" neighborhood. I didn't like Cairo mostly because of the traffic and the smog, but I can see that looking at it on a smaller scale in a nicer neighborhood would have its charms. The traffic is overwhelming there, that's for sure and the smog is pretty amazing as well. We had one morning where we woke to no smog and actually wondered what was 'wrong'. Happy New Year and continued Happy Travels! I liked your insight into the suburbs that you frequent in Cairo and the tips you give for how to behave in the city to not draw unwanted attention. Oh yes it would be a fun gateway and even if you stayed out near the airport we hear there are magnificent shopping and entertainment centers in the area that are worth a visit - we've never had time to do so. Do let me know if you stop in Cairo sometime. I am not a fan of butcher shops with the 'full meal deal' on display or of fish stores that show the entire fish - somehow I would rather not think of them as once being a living, breathing creature. But it does make for some interesting photos, doesn't it? Thanks for the visit Ruth and Happy New Year to you! Such vibrant street life. Maybe I should look into Cairo on my way to South Africa next time. I just had another comment about doing that very thing. I think you would find it most interesting -- certainly a shock to the system after your beautiful southwest open spaces, but well worth visiting! Happy New Year Gaelyn and continued Happy Travels! I really liked this look at regular life in Cairo. Usually, all I hear about is visiting the Pyramids. This city looks both "normal" and unique in its own way. That photo of all the fruit is terrific. You offer up really good tips on staying safe. Somehow, I never thought of running my plans by the hotel concierge to get their feedback. I'll have to remember that in the future. Glad you enjoyed this one Michelle. We don't always run our plans by the concierge or desk person but have found in cities like Bangkok, Yangon, and Cairo - places so overwhelming large and exotic - that we do touch base just to make sure we aren't doing something stupid in our quest for unstructured. The butchered animals hanging there is just a bit too "real" for me. I prefer my meat wrapped in cellophane and sold at the grocery store! I am with you! I'd rather buy the cellophane wrapped package and not think that it was once a living breathing creature. As always, enjoying the link up. Great collection - my favorite is the flower market and architecture. Hi Carol, so glad you enjoyed the walk through Zamelik today! The area's street life is fascinating and my photos didn't do it justice. Looks like a wonderful interesting travelng. You asked about torn photos: they are real paper photos, which I tear, I'm always working on paper and scan the finished sheets. Happy New Year back to Germany from the suburbs of Seattle where our US home is located. Thanks for explaining the torn photos - that is fantastic! I love the look of an open market with a myriad of products for sale. Thanks for a little stroll through Egypt. I suppose if I really thought about all the smog that blankets the city and the blowing sand, I wouldn't be tempted by any of those items, but somehow I found myself wanting to buy a bit of everything! Thanks for the visit ~ as always, its appreciated! So glad you had a chance to reconnect with Cairo again. It's such a wonderful city. As long as we are able - and the city is as safe as it is - we will definitely be returning to Cairo! Thanks for the visit and comment Cindy! Beautiful view od the Nile. Thanks much! Glad you enjoyed the view. . .it is a pretty spectacular river! Thanks for your comments about walking around Cairo, and more specifically about safety. We are considering a trip to Egypt this year and can make good use of that very sound advice of yours. Our view is 'stuff' or 'things' happen everywhere these days. Look at the tragic event at the Fort Lauderdale airport. . .as an example. If we lived in fear of what might happen I suspect I'd never leave the house. You do need to use common sense in Egypt but I think you'll find the place is warm and welcoming. I am one of those people who would love to go back to Egypt but the safety issues concern me. That and the fact that Egypt can be a lot of hassle. I'm looking forward to your post on safety. I will read it with interest. We've not found that much 'hassle' with Egypt although the first time, as with the first time to any large city, we felt like Dorothy as she made her way to OZ . . .everything was so very 'different' but it was that same 'different' that now keeps drawing us back for more. Thanks for commenting Lyn! Love the food photos - especially the colorful fruit. Egypt has long been on my list of places I would love to visit. Every time we think about going there is some unrest for tourists that makes me rethink. One day I know we'll get there and what an adventure it will be! This post transported me back to many years ago when I visited Cairo and stayed at the Marriott! One of my favorite trips!